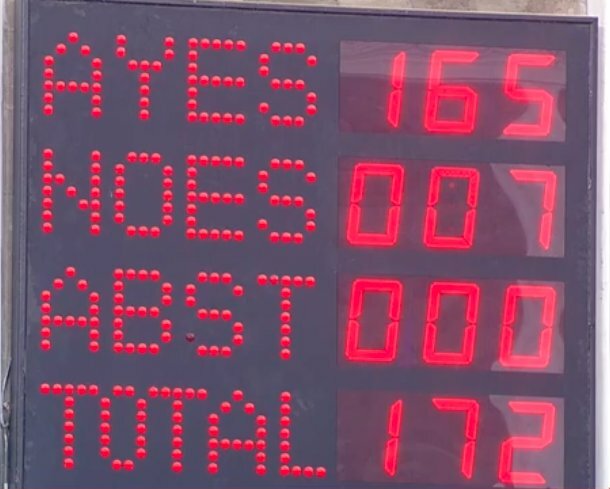 New Delhi:The Bill for 10 per cent reservation for the economically weaker sections of the society got nod from Parliament on Wednesday, with the Rajya Sabha approving it with 165 member voting in favour and 7 voting against it. The Bill, moved for consideration by Minister for Social Justice and Empowerment Thawar Chsand Gehlot, was passed by the Upper House with 165 member voting in its favour while 7 voted against it. Earlier, an amendment moved by Ms Kanimozhi of DMK to refer the Bill to a select committee of the Rajya Sabha, was rejected by the House with just 18 members voting in its favour and 155 voting against it. Parties such as CPM, CPI and IUML also wanted the Bill to be referred to the House Select Committee. Further, all amendments moved by the members of the Opposition to the Bill, including T K Rangaraja of CPM, were rejected by the House. With the approval of the Rajya Sabha, the Bill, which was passed in the Lok Sabha on Tuesday, got the nod of Parliament.